Welcome to the NEFL Eagle Cam, Featuring Romeo & Juliet! This is a wild eagle nest and anything can happen. While we hope that two healthy juvenile eagles fledge each season, things like sibling rivalry, predators, and natural disaster can affect this eagle family and may be difficult to watch. AEF invites anyone to post photo and video screenshots/screen-recordings captured from these high definition cams. 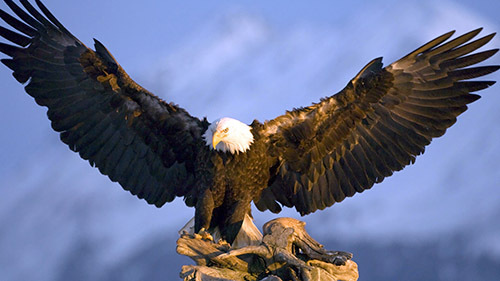 Since these photos and videos can be copied and duplicated over and over, we request that when you post these up to Facebook, IG, Websites, Blogs, or another social media location, the following information be included at the end of your photo/video caption: © 2016 American Eagle Foundation, EAGLES.ORG. These live feeds are the intellectual property of the AEF, and we kindly request that you do not attempt to embed or live stream these feeds on your website, blog, app, etc., or attempt to monetize screen shots or video captures. Thank you for your cooperation! For the past nine years, Gretchen Butler (Volunteer for Audubon “EagleWatch” Program and the American Eagle Foundation “Eagle Nest Cam” Program) has closely monitored and documented important events associated with the resident eagles and their offspring. We prefer that chatter focus on the Northeast Florida eagles featured on this page. We are aware that many of our chatters view other nests and like to share the news (eaglet hatchings et al), which is acceptable. However, please keep information from other nests to a minimum so we don’t confuse other chatters. If you feel the need to discuss other topics, please do so by using Private Messages (PMs). Three high-definition cams are available on this page. The first is a pan/tilt/zoom cam (PTZ), that provides incredible up close views of activities in the nest. The next cam down is also a PTZ cam focused on the nest from a different angle. The third video screen shows the nest tree and the canopy from a high-definition cam anchored on a different tree at a lower angle. If you watch for a while, you may be lucky enough to see eagles flying to and from the tree, and when the eaglets get to a certain size, you will see them begin to “branch” and ultimately “fledge” the nest. Videos will be posted in chronological order as they become available throughout the season.